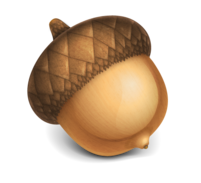 Acorn is a simple image editor for Macintosh that I've been using for the last year or so. When my old version of Photoshop stopped working in Mac OS X Lion, I went looking for an alternative to upgrading the expensive and complex Adobe Photoshop. Acorn fits the bill nicely. Even with my very modest Photoshop skills, I was able to get up to speed quickly. It supports the key features I rely on like layers, filters, masking, and the ability to scale and manipulate images. So far, I haven't found anything I've wanted to do that I couldn't do in Acorn. At $49, its tough to beat the price.